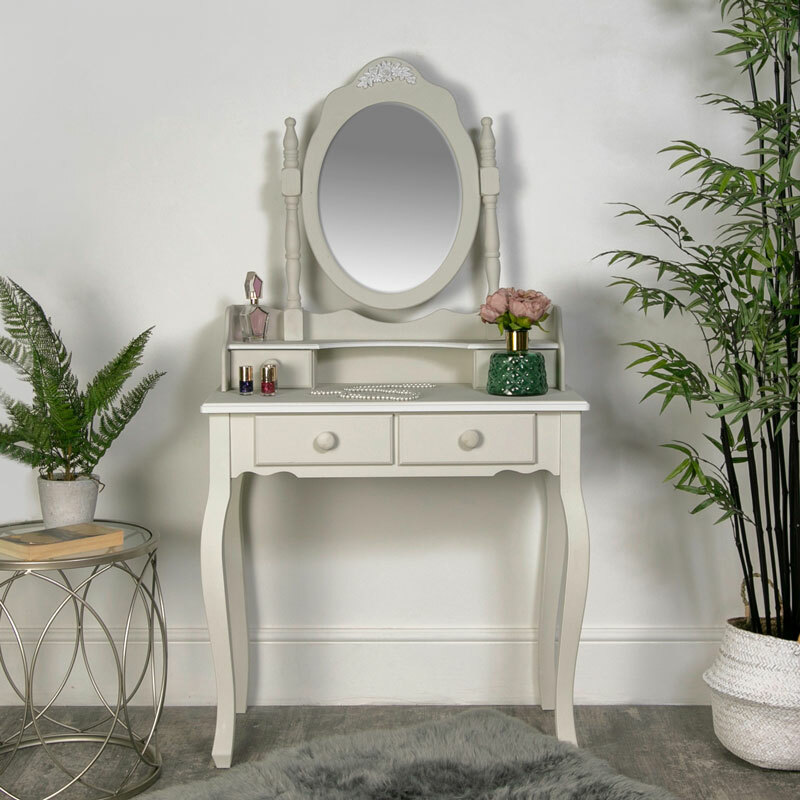 Elegant dressing table with tabletop mirror in a swing style with trinket drawers. Pretty French chic style, painted in soft grey. Perfect bedroom furniture for a girls room. The large oval mirror makes an excellent vanity & makeup mirror. The Claudette Range offers a unique look in shabby chic style for a girly boudoir style bedroom. 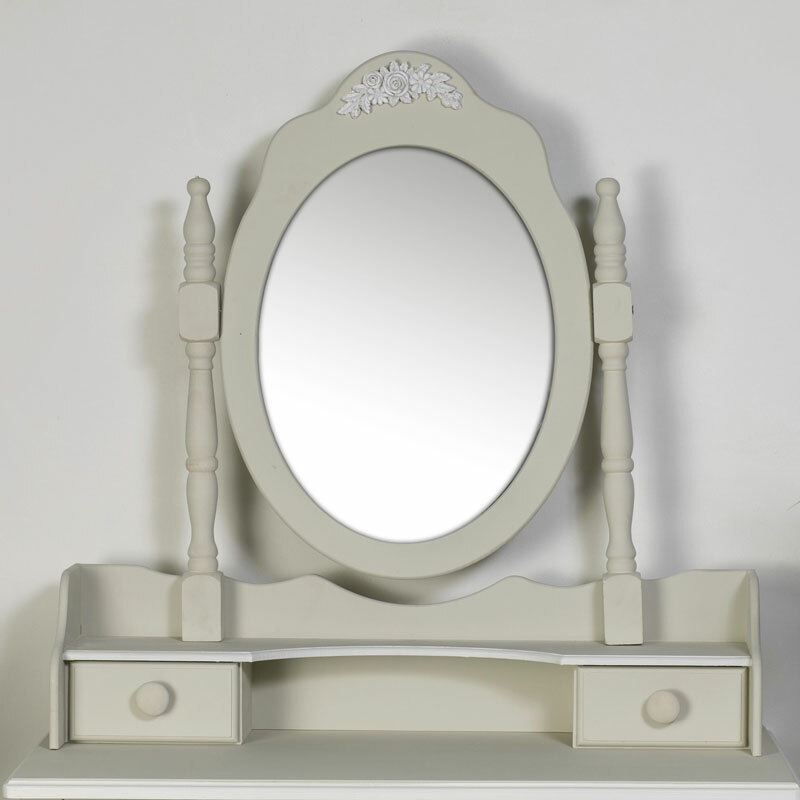 The dressing table comes with 2 drawers and a further 2 little trinket drawers on the mirror. Elegant, chic style that will suit many decors. 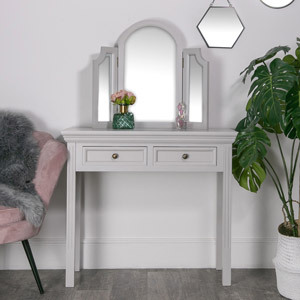 Elegant dressing table with tabletop mirror in a swing style with trinket drawers. Pretty French chic style, painted in soft grey. Perfect bedroom furniture for a girls room. The large oval mirror makes an excellent vanity & makeup mirror. The Claudette Range offers a unique look in shabby chic style for a girly boudoir style bedroom. 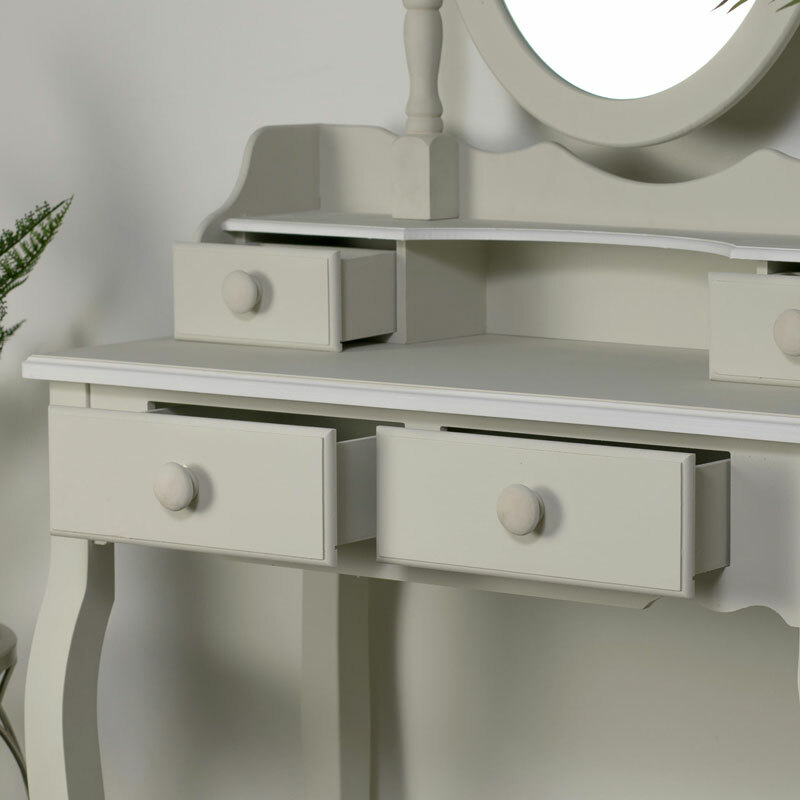 The dressing table comes with 2 drawers and a further 2 little trinket drawers on the mirror. Elegant, chic style that will suit many decors. Yes the mirror needs attaching to the stand and the legs needs attaching to the table. It is really quick and simple with the fixings included. The mirror is grey and the table is white. We have the table available on its own.